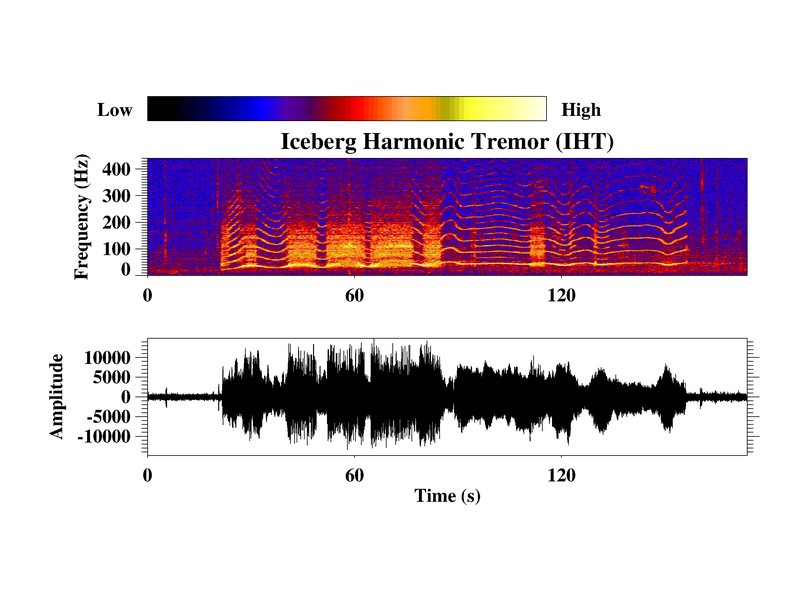 Scientists are learning to distinguish the eerie, haunting sounds of iceberg life and measure how those sounds contribute to the noise of the ocean. 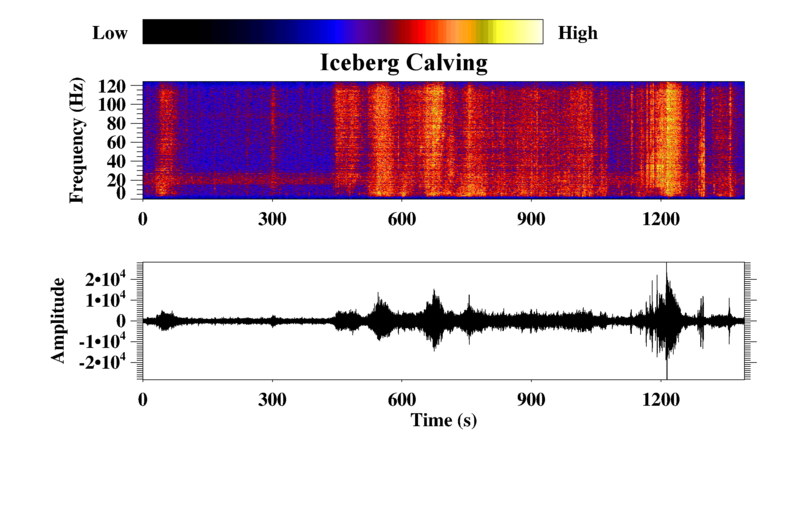 Calving: Spectrogram of an iceberg calving (large section of iceberg breaking off) while adrift. The calving signal is short duration, broad band from 1-440 Hz generated by ice cracking and crack propagation. Audio sped up 3X normal.